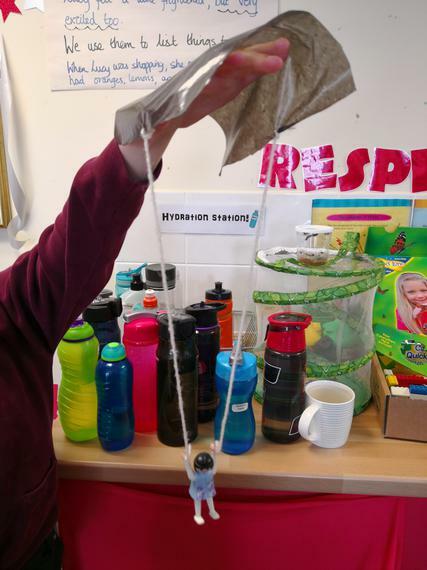 In Science, we watched the opening scene of The Borrowers (the UK film version) and saw one of the tiny people use a sweet wrapper as a parachute to get themselves down from a books shelf. 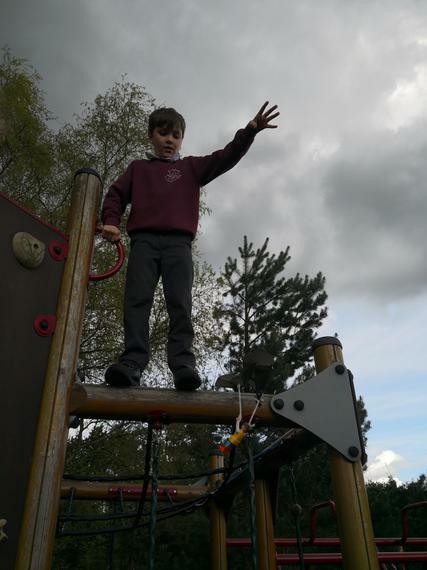 We decided to test and make our own parachutes. We used materials similar to sweet wrappers and tested how much air resistance they had depending on their size. In maths, we found lots of little Borrowers footsteps in our classroom! 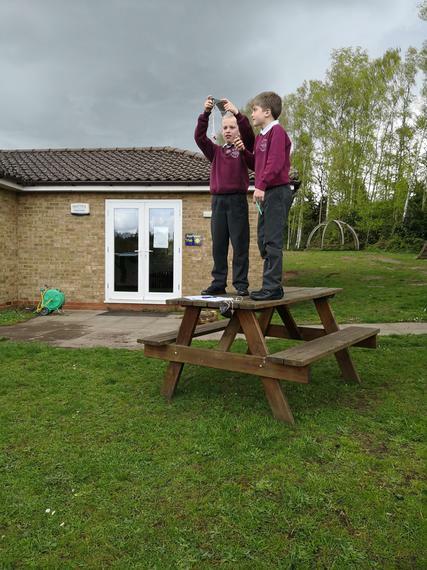 We were given the task of finding out the height of the Borrower; but how would we do it? We came up with the idea of measuring our feet, we thought we could maybe use multiplication or division but we weren’t sure how, so we kept thinking! 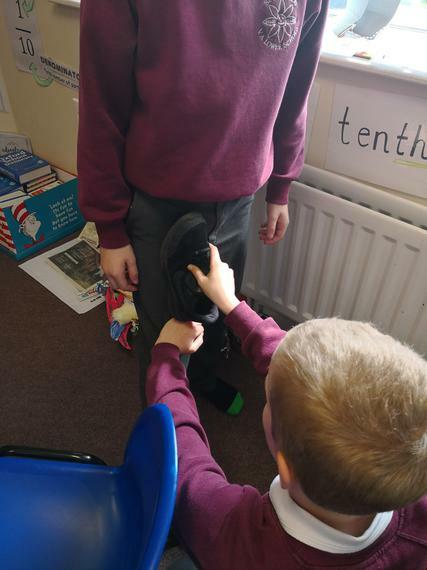 Once we’d measured our own foot length we realised that if we had the measurement of the Borrowers foot length but needed to find the Borrowers height then maybe we needed to find our height? So, we measured our height and were left with three important measurements: our height, our foot length and the Borrowers foot length. Now all we had to do was find the Borrowers height. Eventually, we thought … aha! Let’s see how many times our foot fits into our height and however many times it fits, that could be the amount of times the Borrower’s foot fit into their height! 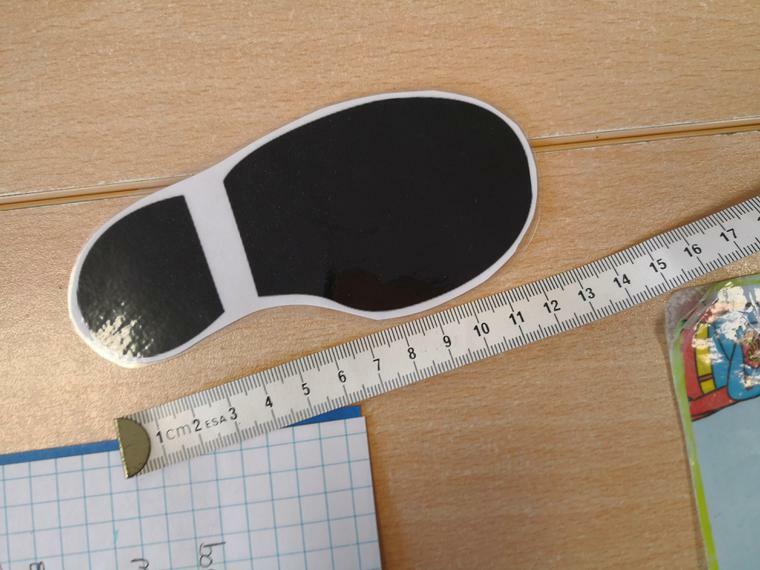 So we checked how many times our shoes fit into our height and multiplied the Borrower’s foot length by this amount to give us ESTIMATION. We then wrote lots of different equations to show what we did!